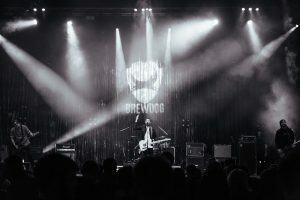 Independent Scottish brewer, BrewDog, has released tickets for Metro Mayhem, its first London-based beer festival, set to take place on Saturday 10th November 2018 at The Copper Box Arena in East London. The event promises to be a riotous celebration of great craft beer from 17 world-renowned breweries, food and music from the likes of Frank Carter and the Rattlesnakes, and Everything Everything. The line-up includes a further 17 breweries from around the world who will be running bars and hosting exclusive panels and tastings. “Our AGM has achieved legendary status over the past 8 years, so we wanted to bring a taste of that Mayhem to London with this new beer-fuelled blow out. London is home to thousands of our Equity Punks and has been key to our growth. We’ve got ten bars across the city quenching London’s thirst and we’ll be opening more next year.